E-invoice submission at a maximum speed! Your company will have no IT concerns! *Source: Study performed by Ernst & Young Baltic AS in cooperation with the Ministry of Finances „Transition to machine-readable e-invoices between the public and private sector (readiness and requirements)“, 2014. The details for e-invoice sending shall comply with the rules and the uniform standard approved by the Association of Lithuanian Banks available at www.lba.lt. This will allow your company to standardize this process by introducing the technical solution. You will have to provide the details for e-invoice sending in XML format data file in a manner convenient for you: via Swedbank Internet Bank for Business, using Swedbank Gateway service or involving an intermediary (operator). You will select the issuance channel when signing the agreement. The company must ensure the communication to the Bank of correct details of a customer necessary for generating an e-invoice. E-invoice issuance address – the bank account number in IBAN format indicated in the customer’s application for receiving e-invoices. Your customer can submit an e-invoice receiving application via the Internet Bank, calling at 1884 or 1633, or at a branch of the Bank or payee. Your customer receives e-invoices via the Internet Bank, and customers, who do not use the Internet Bank, may acquaint themselves with the e-invoice payment details at the Bank’s branch. Your customer, on his (her) request, may order the issuance of an e-invoice to another person. Your customer can choose an automated payment of e-invoices or pay an e-invoice himself by an ordinary payment order. Your customers, who don’t have or use the Internet Bank, will be able to order an e-invoice with limited information and conclude an automated payment agreement at the Bank’s branch. 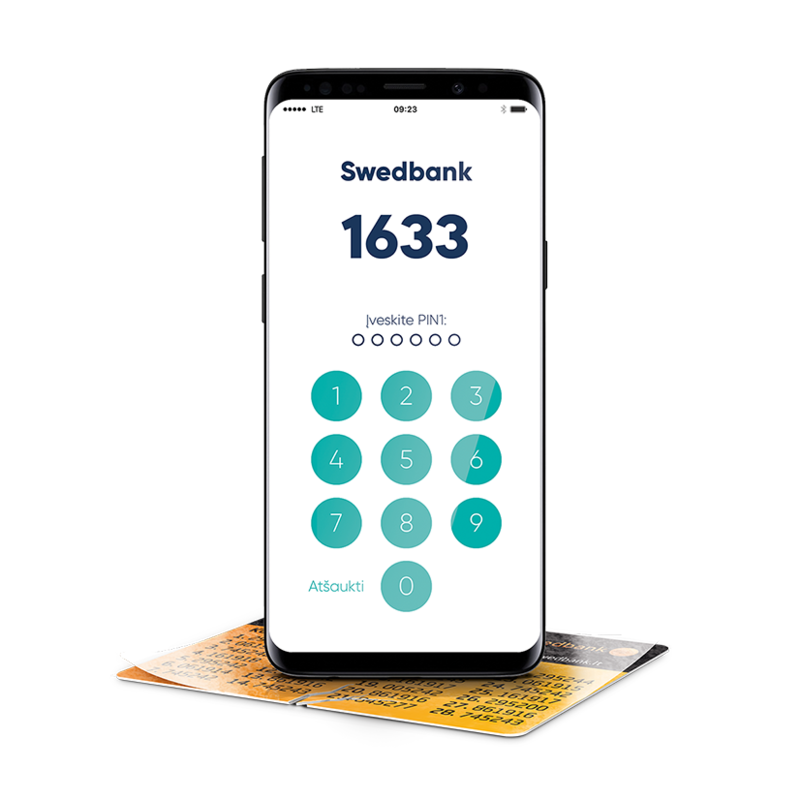 You can choose one bank for e-invoice sending, and Swedbank will guarantee the transmission of e-invoices to customers of other banks. E-invoice corresponds to the original e-invoice and may be imported to the accounting systems of customers – legal persons. With a view to ensuring the timely payment of e-invoices, submit an e-invoice 3 (three) working days in advance, but no later than 2 (two) calendar days before the payment day specified in the e-invoice. When concluding an automated payment agreement, your customer himself (herself) chooses the payment day from three possible dates: 2 days after the e-invoice submission day, 2 days before the payment day specified in the e-invoice and the payment day specified in the e-invoice (the last day of the payment term). If the Bank, when executing the payment according to the automated payment agreement, does not find the required amount of funds on the payment day selected by the customer, the Bank shall check your customer’s account on the same day + 2 more days. For withdrawal of the submitted e-invoice, you should send a credit e-invoice the preparation conditions of which are available in the technical standard. You can submit e-invoice data to the Bank using a dedicated Omniva LT tool on its Self Service Portal. No need to prepare your e-invoice data in xml format: Omniva LT e-invoice solution allows simple entry of the data. For your convenience, importing e-invoice data from either Excel or your accounting program is possible. Your Swedbank payers’ requests for e-invoices will be readily available: You will receive the data from the requests made in the Bank automatically to Omniva LT Self-Service. The data will be transmitted to the Bank according to the technical requirements set by the Bank: You can send the e-invoice data entries to the Bank immediately as the data will be automatically prepared for sending by Omniva LT.
One-stop-shop for e-invoices: The e-invoice data will reach the Bank through Omniva LT; we will issue e-invoices to Swedbank payers and will ensure that the e-invoices are transmitted to clients of other payment service providers. Speedy activation of the service: You will be able to send e-invoices to your payers to their respective online banking systems immediately upon conclusion of an agreement on e-invoices together with a special arrangement on e-invoices‘ forwarding to other service providers with Swedbank and an agreement with Omniva LT UAB. You will feel secure and will be offered additional opportunities: An online solution accessible 24/7, a 100% data security, electronic archives etc. Please complete an Application Form for the use of Omniva LT Self Service Portal. Payments made by your“Swedbank” payers according to agreements for automatic payment of e-invoices. If you want to add more information to the e-invoice form, e.g., a logo, details, you will be able to order the E-invoice service of individual design. The rates apply to the services you can access in www.swedbank.lt. More information on the additional services, their prices and ordering can be obtained calling 1633 or from the business customer manager who services your company.